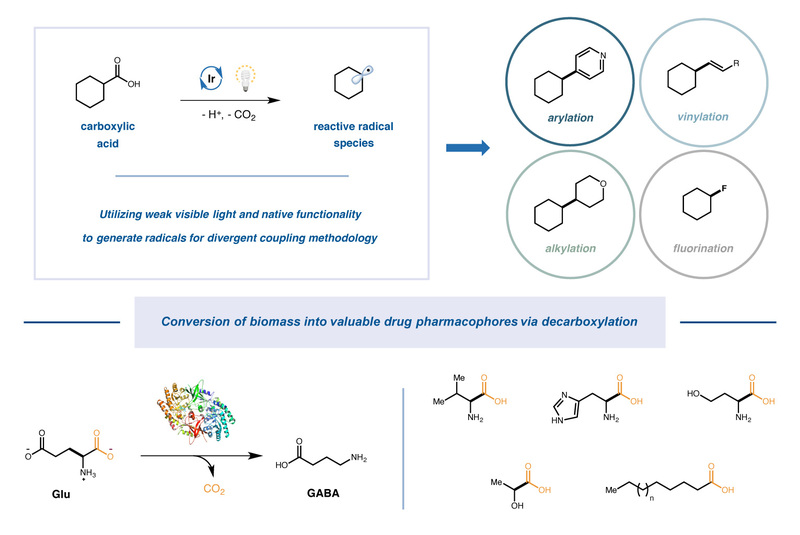 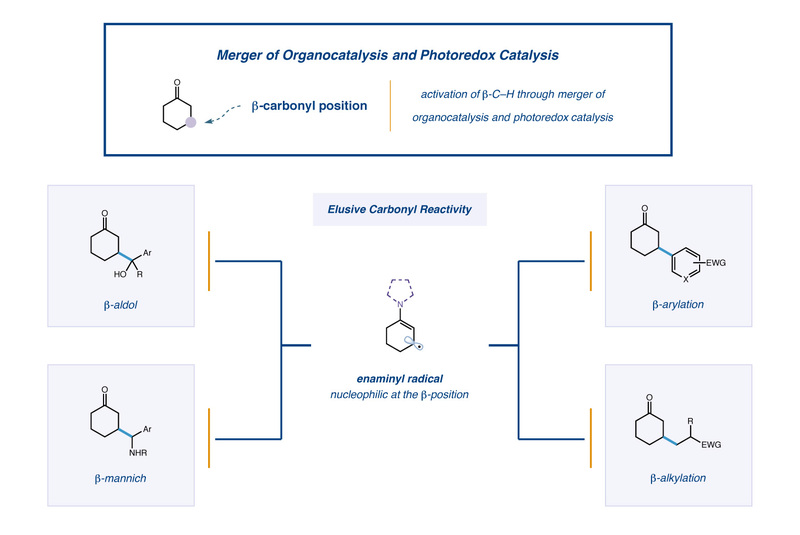 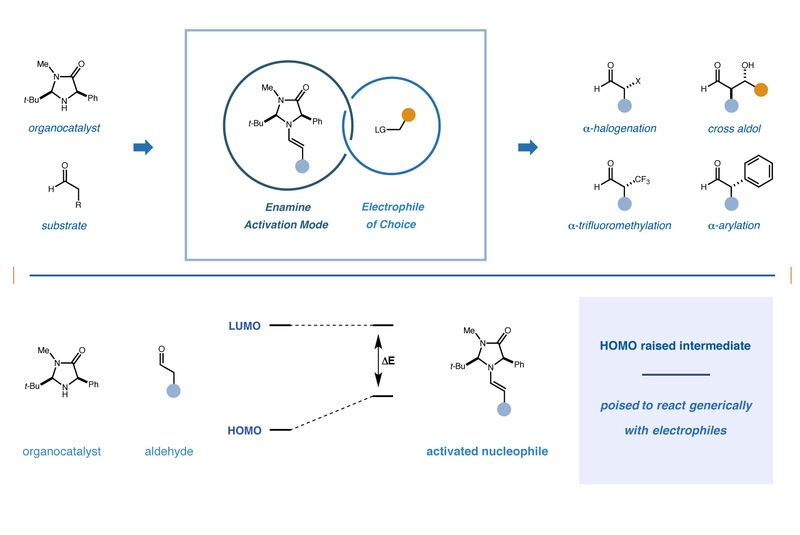 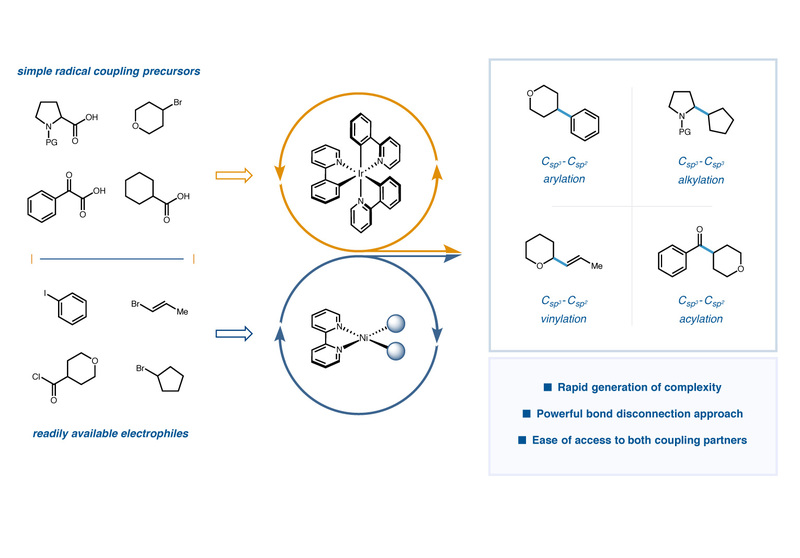 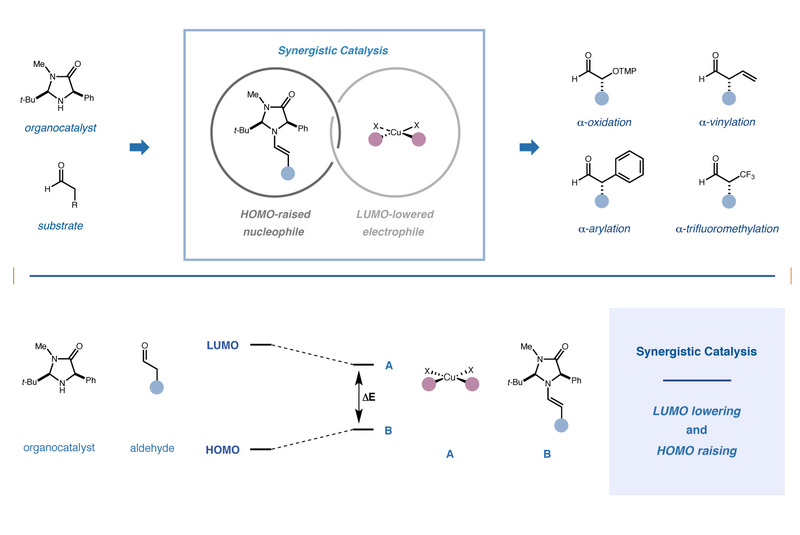 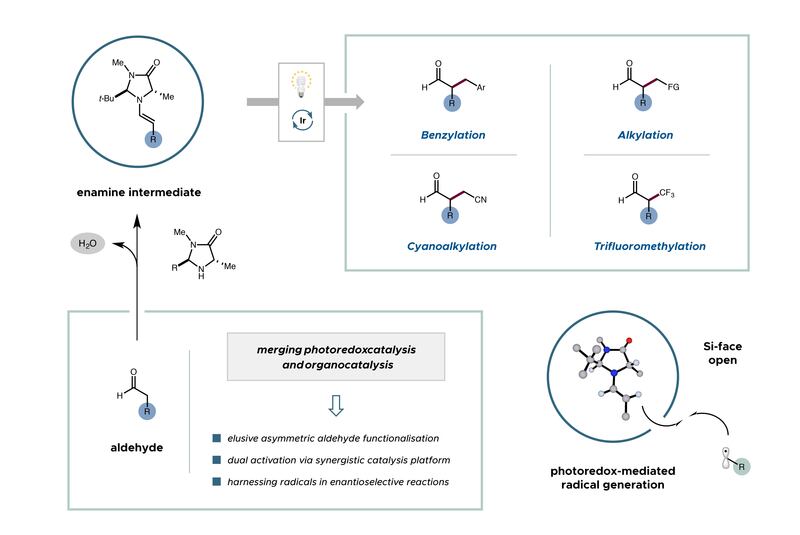 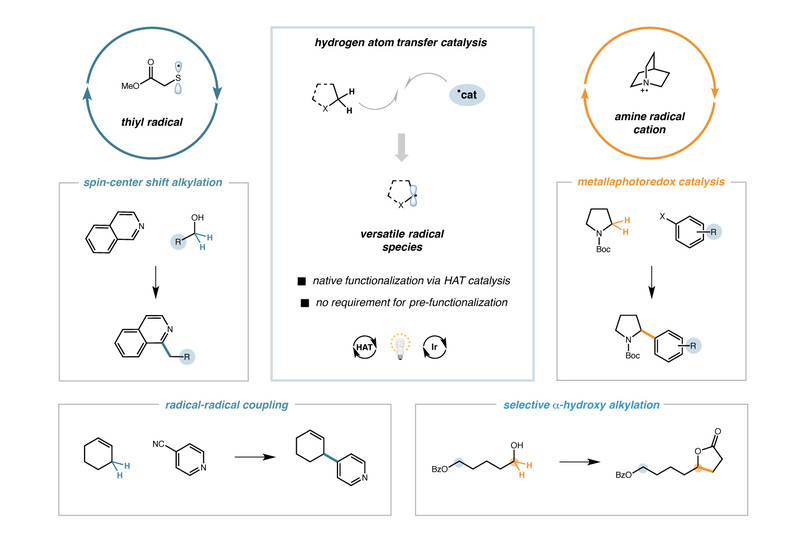 The pursuit of new concepts in catalysis: organocatalysis, cascade, synergistic, photoredox and metallaphotoredox catalysis and the application of such to the total synthesis of natural products and pharmaceuticals. 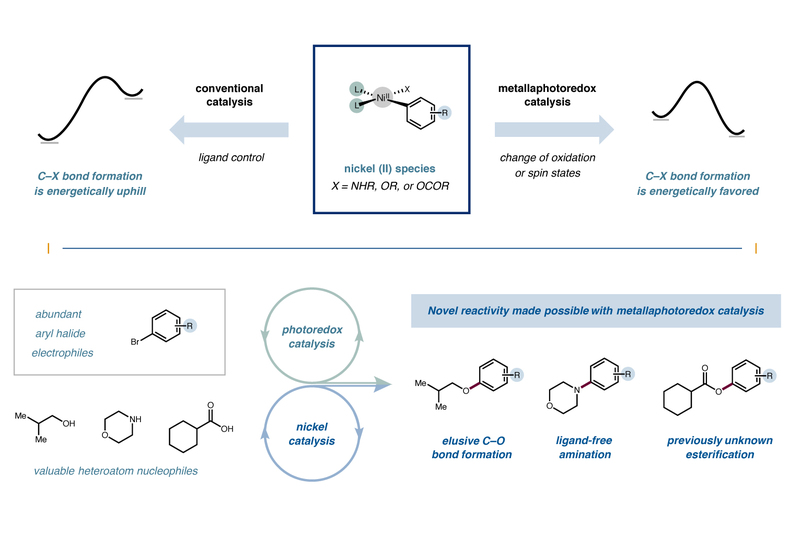 The use of visible light to enable single-electron transfer between photoexcitable catalysts and organic molecules or transition metal catalysts via modulation of oxidation states. 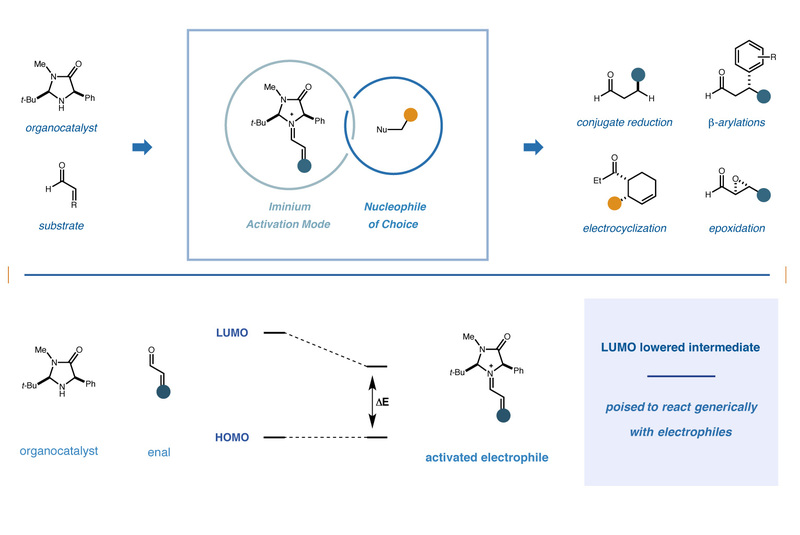 Check out our Photoredox tab for tips and tricks on how to run our reactions. 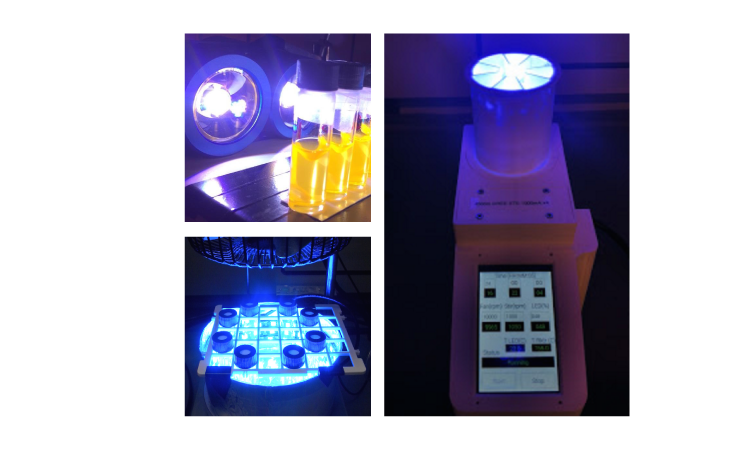 We are currently collaborating with Merck on a photoreactor, a design that speeds up reaction times and standardizes parameters. 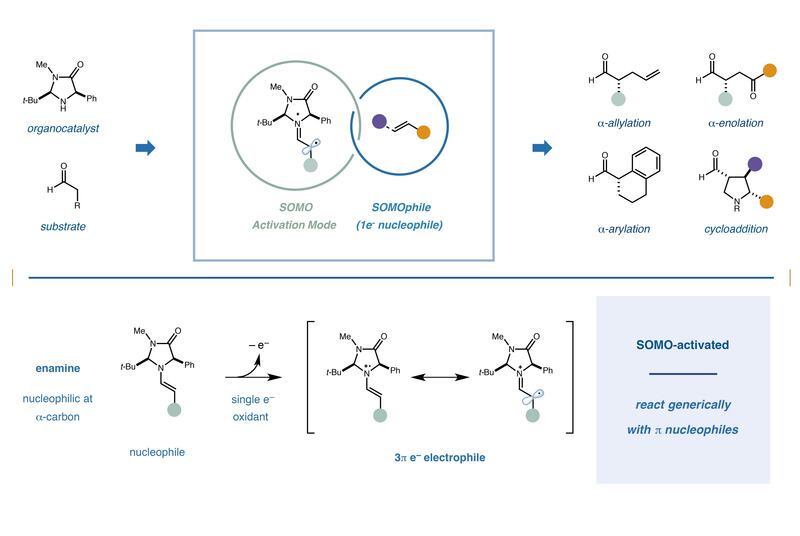 Broad research area that utilizes small organic molecules to activate substrates towards challenging asymmetric bond-forming reactions in a general and predictable fashion.